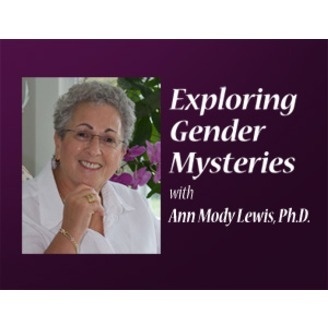 Exploring Gender Mysteries – Ann Mody Lewis, Ph.D. Mysteries intrigue us, befuddle us and sometimes cause us a lot of pain. 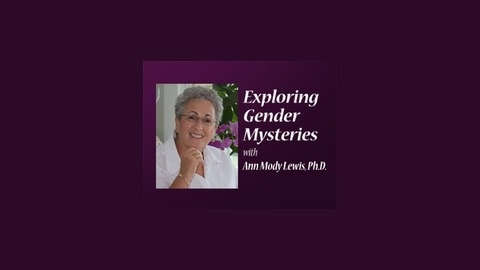 “Exploring Gender Mysteries” touches all of us without exception. Our guests are often real people talking about their real experiences, helping us to untangle the mysteries gender creates “within” you and amongst us. You’ll understand why husbands and wives live as intimate strangers; why men feel pressure to be “masculine”; why women internalize the “shame” of aging, weight and abuse, and many other gender mysteries which often control our lives. Our only freedom is knowing what it does, so we can undo the damage and recreate our lives in peace. This conversation is the cure. Get involved today, so you can look into the future with optimism. Whenever women have to respect their right to speak, to leave an unhappy relationship to be happy they experience intense inner turmoil. They question the “right” to exercise their choices. The ending of a relationship is the greatest cause of depression among women…even if it’s unhealthy. Dr. Lewis will examine the reasons for this inner turmoil. Her guest is Margi, a mature lesbian woman who is caught between grieving for what is over or searching for what is possible. Listen and Learn! Exploring Gender Mysteries –“Recovering from Sexual Addiction” A man shares his story.